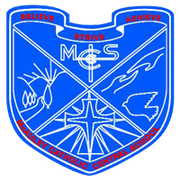 McAuley Catholic Central School prides itself on its open and friendly communication, which it fosters with its parents, parish and wider community. Communication is integral to people feeling valued and appreciated and therefore is a major priority for staff. Parents can request interviews at any time when concerned about their child. From time to time staff may contact parents about a particular matter concerning their child. This communication is helpful in keeping parents informed concerning their child’s progress and behaviour at school. Some communication may require the need for the parent to acknowledge having received the information (e.g. a phone call or a signed letter/email). This is most important as the partnership between the school and family is the foundation for a child’s success at school.